The We Are Here Movement is Alicia Keys’s initiative to counteract and raise awareness about various injustices around the world using, including income inequity and climate change, using the power of art and culture. 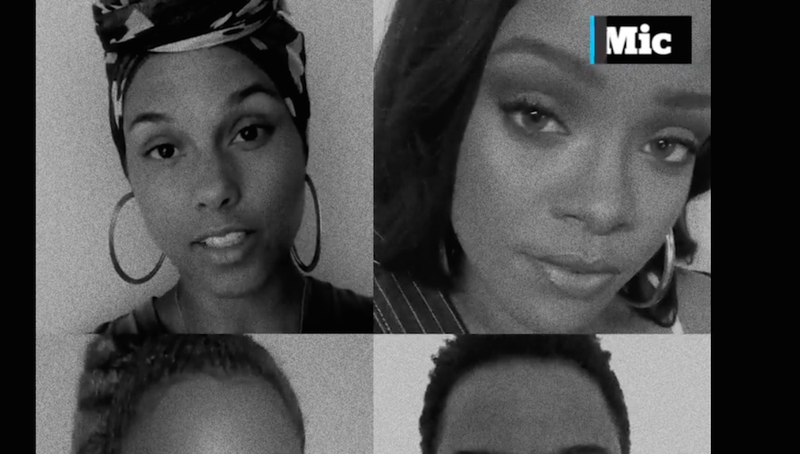 Her latest campaign is a powerful video in which musicians and actors honor and memorialize some of those Americans who’ve been killed for living while black. The video, in conjunction with Mic and reporter Jamilah King, is called “23 Ways You Could Be Killed If You Are Black in America,” and very plainly names things people have been doing while they’ve been killed, mostly by police officers but also by racist murderers like Dylann Roof. “Riding in your girlfriend’s car with a child in the back,” says Beyoncé, before a photograph of Philando Castile, young and sweet, appears. It’s the kind of plainly put video that is explicit and simple enough to be effective, no doubt especially among people for whom the reality of it all hasn’t yet sunk in. As ever, nothing else should need to be said.